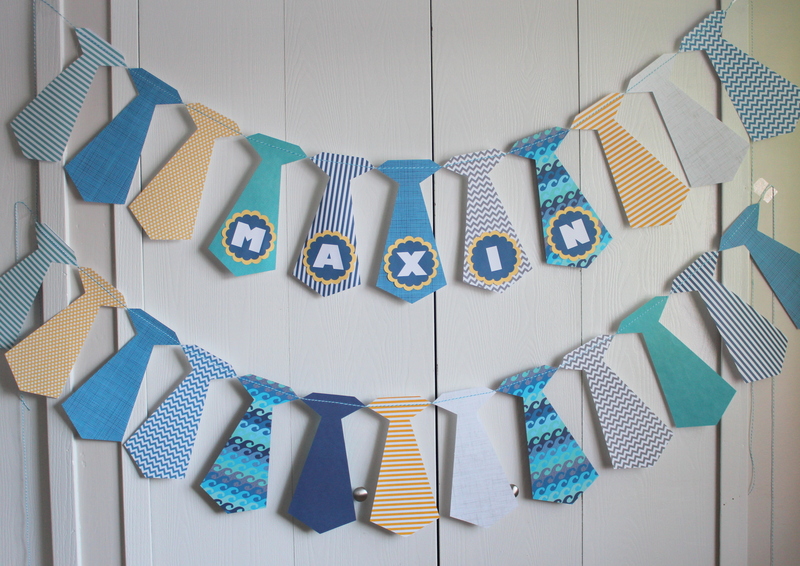 Last weekend some friends and I celebrated the arrival of a sweet new baby boy. A small shower was held in the little man’s honor, and I was asked to make this cute bunting for the occasion. I love buntings because not only are they super showy, but they are so so so simple especially with the help of my Sizzix Eclips. 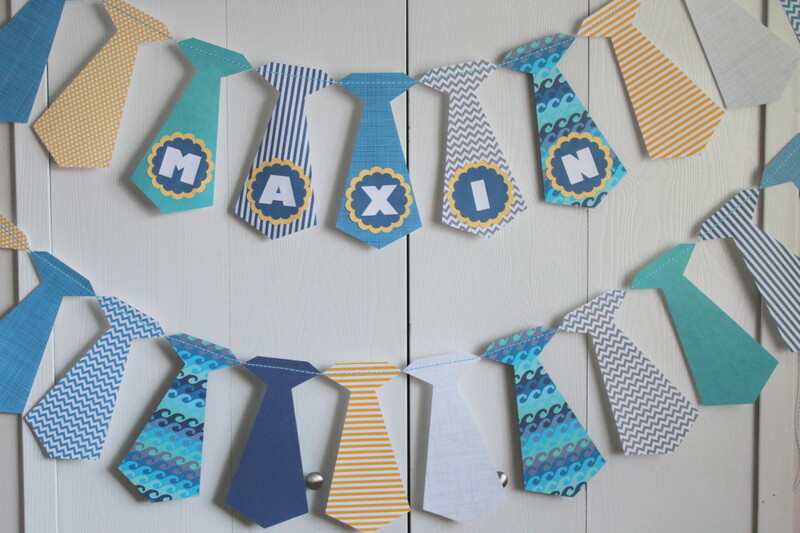 I found this cute tie shape from lovepapercrafts.com, cut it out on my machine, and was ready to go. 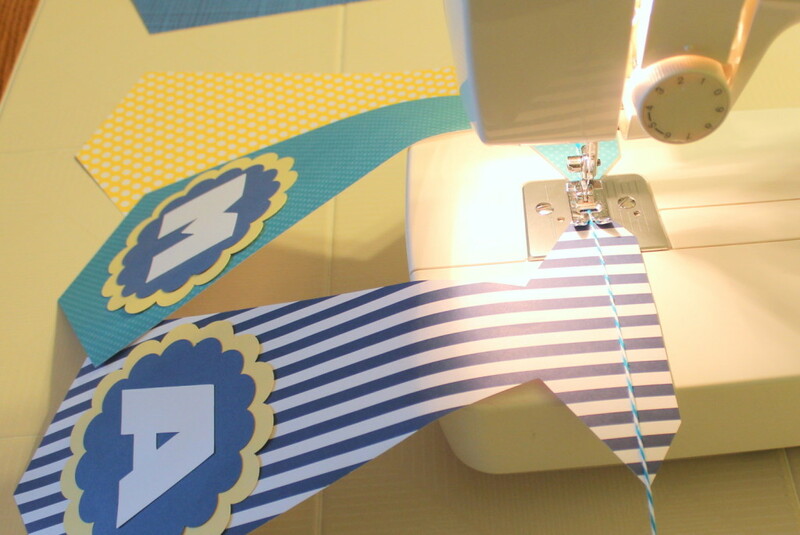 I always use my sewing machine to put any bunting together because it’s quick and simple, and it makes it so whatever shape you are stringing together stays put and doesn’t slide around. I use clear thread and adjust my sewing machine on a wide zig-zag setting. For this bunting I used baker’s twine, but you can use yarn, jute…any sort of string. 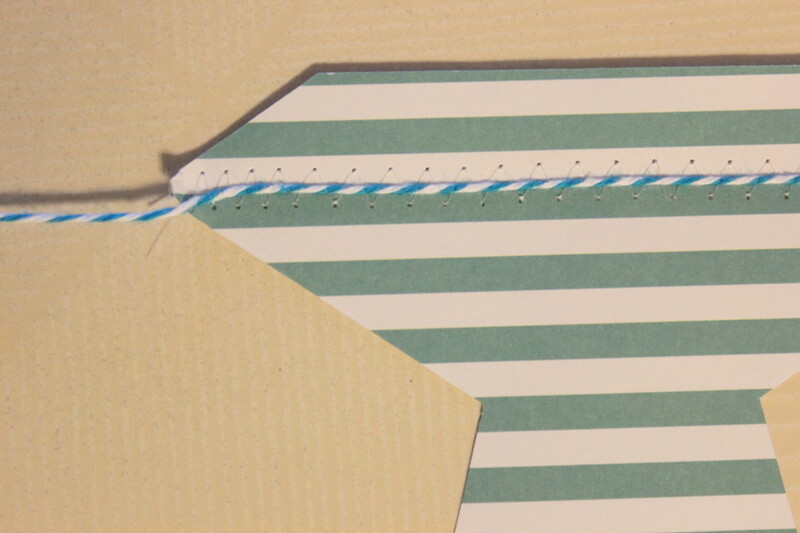 Simply line the twine or string along the top of your shape, and zig-zag stitch across the top of it. When you get to the end of your shape, place the next one in line and repeat. Here’s a close up of how the stitching will look.